Frustrated with coming home empty-handed from “dusty bottle” hunting? Feeling regret for trading away Grandpa’s old Wild Turkey bottle? Or, maybe you arrived late to the scene to find there’s no old-label Turkey to be found anywhere? Well, you’re not alone. 10. Versatile – Anything a straight whiskey can do, RRSiB can do undeniably well. Cocktails? For sure. It has the richness and spice to outperform most KSBW’s in the super-premium tier. Over ice? Absolutely. While not my preferred way to sip, RRSiB is full-bodied and strong enough to maintain enjoyable flavor as the ice melts. Neat? Are you kidding me? RRSiB shines best when sipped neat! A single straight pour is a journey down classic Wild Turkey lane and always a memorable experience. 9. Single Barrel – There’s something to be said about a quality single barrel Kentucky straight bourbon whiskey. You can’t “batch” its imperfections away. It is what it is – what comes from the barrel is what you sip (RRSiB adds just a touch of water to maintain the brand’s 110 proof). What that means for the consumer is that each bottle, so long as they’re from different barrels, has the potential to be its own unique and rewarding experience. 8. Proof – With a barrel entry-proof of 115, bottling a perfectly-aged straight bourbon at 110 proof means that you’ll likely be (depending on barrel location) getting a minimally-diluted whiskey. This is one of the factors that made older Wild Turkey 101 8-year so flavorful – a bottling proof (101) close to barrel entry-proof (107, prior to 2004). A higher proof also makes RRSiB more versatile (see reason #10). 7. Available – Most local retailers stocking super-premium KSBW carry RRSiB – that even goes for states with controlled alcohol retailing. But if your local isn’t selling RRSiB, most should be able to get it easily through their distributor. It can also be found online at nearly every major spirits vendor with a half-decent whiskey selection. My point is – it’s practically everywhere. 6. Affordable – With a suggested retail price of $50 (USD), RRSiB is one heck of a deal. Personally, I’ve seen it as low as $35 and as high as $60 (store and state depending). If you see it for less than $40 in today’s crazy bourbon marketplace, it’s a no-brainer buy. And even at $60 a bottle I’d still argue it’s a solid deal. There are very few (and I mean very few) single barrel, 100+ proof, KSBW that can compete at the same quality level for the same price. 5. Consistent – Each bottle of RRSiB I’ve had to date has been of considerable quality and of a similar core profile. Some are better than others, of course, but I’ve yet to have a sub-par experience. According to a March 29, 2017 Reddit AMA, Jimmy and Eddie Russell still taste every barrel. That alone is most likely the best reason to explain why RRSiB is so consistent in quality and flavor. 4. Non-Chill Filtered – Chill filtering is a common filtration process employed by many distilleries as a method for removing residue. Its purpose is to make the whiskey more visually appealing. Stated simply, it improves clarity by reducing cloudiness and gives the whiskey more of a clean metallic sheen. RRSiB does not use this process. There is great debate amongst whiskey enthusiasts as to the effects of chill filtering on flavor. While some believe it improves taste by removing fine particles (imperfections), most will argue that it’s simply one more (unnecessary) step further from how the whiskey tasted straight out of the barrel. I’m not sure about you, but I prefer my bourbon as close to barrel-profile as possible. 3. Private Selects – There’s a lot of bourbon brands out there offering private barrel selections. But the truth is, it’s often hard to tell who selected what. Many of these selections come from NDP’s (non-distiller producers) from which the whiskey is sourced from other (often undisclosed) distilleries. RRSiB private selections come straight from Wild Turkey and are personally selected by distributors, retailers, or enthusiasts. Depending on the preferences and talents of the individuals sampling the barrels, RRSiB profiles can vary from classic Wild Turkey to stunning “throwback” Wild Turkey (yes, even some coveted “dusty” notes are sometimes reported). And with these bottles typically carrying only a small retail premium (if any at all), there’s very little investment risk over the standard non-select RRSiB. 2. Profile – One of my favorite things about RRSiB is its unmistakably classic Wild Turkey profile. From rich core notes like vanilla, brown sugar, caramel, and oak, to a plethora of supportive notes ranging anywhere from fruity to spicy, each bottle of RRSiB contains its own unique tasting experience. And don’t let the lack of an age statement deter you. It has complexity and balance that comes only from well-aged bourbon whiskey. According to interviews with the Russell’s, most RRSiB are typically chosen from barrels aged eight to ten years (the proverbial “sweet spot” of bourbon maturity). Overall, it’s somewhat enigmatic, as all RRSiB taste like RRSiB, yet each RRSiB tastes distinctively special. 1. 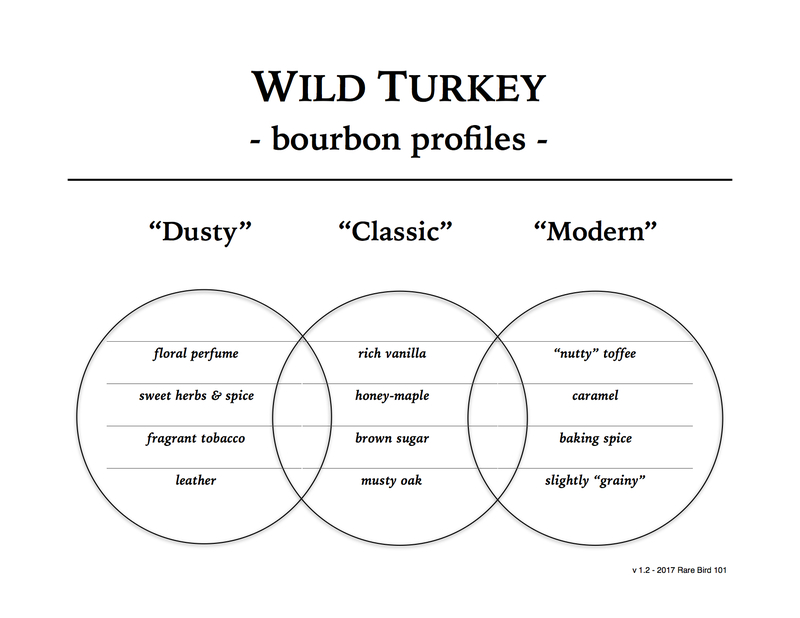 It’s Wild Turkey – Okay, so clearly I’m biased on this one, but there’s something to be said about an honest legacy. The once small label KSBW purchased by wholesaler Austin Nichols in 1971, has turned into a worldwide mainstay thanks to the dedication and skill of Master Distiller Jimmy Russell. And with Eddie Russell named Master Distiller in 2015, there’s been no true “changing of the guard.” Jimmy’s way is Eddie’s way, and Eddie’s got it down. Wild Turkey makes damn fine bourbon whiskey – has for decades now – and Russell’s Reserve Single Barrel is a modern-day testament to that legacy.